At the same time Marx viewed capitalism as a form of systematic labour exploitation. Primitive societies were not exploitative because they exchanged goods roughly embodying the same amount of labour. Slavery was less exploitative than it seemed, for slaves’ consumption allowed them to recover some of their own labour that looked entirely unpaid. Feudalism was openly exploitative, for the amount of work performed by labourers for themselves and for their feudal masters was clearly stipulated and visible; whereas capitalism does not look exploitative at all, since all labour is paid for, but workers perform more work than is embodied in their means of consumption and a surplus of unpaid labour is appropriated by capitalists. Marx neglects altogether entrepreneurship, uncertainty and risk and their rewards: on that basis a positive share of profits is sufficient to infer exploitation, without the unnecessary detour of his labour theory of value. The replacement and growth of fixed capital would be necessary in any mode of production (including socialism, Pareto 1890): exploitation should be restricted at most to capitalists’ consumption. But Marx regarded all profits, consumed or re-invested, as equally exploitative as originating in “primitive accumulation” ultimately rooted in theft, robbery, war, conquest and other forms of violence. Inequality of wealth and incomes was recognised as a defining feature of capitalism. Its redeeming feature was the financing of investment and growth: “Accumulate, accumulate! This is Moses and the Prophets” (Capital, Vol,I, ch.24). Marx modelled intersectoral flows and equilibrium conditions for a stationary and a growing economy in his schemes of simple and enlarged reproduction (with two vertically integrated sectors producing consumption and investment goods respectively). However he exaggerated the instability of a capitalist system by assuming that profits necessarily would have to be reinvested in the same sector in which they originated, while in any capitalist economy re-investment is never subject to such an arbitrary restriction (Lange 1970 amplified unreasonably this presumed instability of the system maintaining this undue sectoral restriction in a multi-sector model). Marx regarded capitalism as a totally chaotic and anarchic system, naturally generating unemployed labour and under-utilisation of other resources, as well as costly fluctuations and economic crises. However he neglected automatic processes of economic adjustment, operating imperfectly, often either too fast or too slowly, but typical of the operation of markets in a capitalist system. These automatic processes are: in the short-term, for a given level of production, the Walrasian adjustment of prices to any positive or negative excess demand; in the medium-term, when production levels can vary, the Marshallian adjustment of enterprise output to price relatively to its marginal cost; as well as the transmission to other sectors of the inputs requirements corresponding to their output change (activating what Goodwin 1949 calls “the multiplier as matrix”). In the longer term, when productive capacity can vary, there is a gradual adjustment of the actual capital stock to the level desired by enterprises in consideration of the demand level they experience - an upwards adjustment via investment in new capital or downwards through the non-replacement of excess capital. These adjustment processes are rooted in the maximisation of profit on the part of enterprises operating in a system of markets, whose owners appropriate profit to their own advantage. And we need to stress that these adjustment mechanisms auto-regulate production, prices, intersectoral transactions and productive capacity but naturally they do not regulate themselves as institutions (in a process that would amount to “autopoiesis”); thus their creation, regulation and guarantee remain fundamental functions of the state even in a fully de-centralised market economy. Goodwin (1947, 1951a and 1953) likens the adjustment mechanisms operated by markets to homeostatic mechanisms, such as for instance a thermostat, that records the actual temperature, compares it to a pre-fixed desired temperature and automatically activates heating or cooling systems in order to reduce the difference between actual and desired temperatures (see also Leijonhuvfud 1970). This kind of logic is less cogent and much more controversial in the case of financial markets. Financial intermediation creates value by modifying the size, time horizon and riskiness of assets demand and supply, but their continuous operation is associated to phenomena of both euphoria and panic. Financial markets contribute to economic growth at the cost of a greater vulnerability and potential instability. Keynes believed that financial investment should be indissoluble like marriage (or better, we should say that investment divorce should be equally costly and traumatic). contribute to the increase of total risk instead of its distribution among a large number of agents. This is why Buiter (2009) proposed to reserve derivatives transactions to agents who could justify them on the basis of an underlying insurable interest. The alternative to markets seen as automatic thermostats is the manual regulation of temperature or of equivalent processes; manual control – in economic terms – corresponds to central planning. The desirability of self-regulating market mechanisms with respect to central planning depends on the speed of reaction of the system, on its tendency to reduce or to amplify the possible divergence between objectives and reality, from the stability or otherwise of such processes. There can be circumstances in which manual control (planning) is preferable to the automatic control (markets). My favourite example, which I used to inflict on my students, is taken from Star Wars: when Luke Skywalker is trying to strike at the heart of the Empire with a single shot, he disactivates the automatic aiming mechanism and choses to do it manually. But he is justified by exceptional circumstances: there is only one target, which he can either hit or miss without intermediate degrees of success, and ... the Force is with him. The automatic adjustment processes discussed here, built into a market system, in spite of their imperfections have made the capitalist system more flexible, at the same time exposing it to the risk of possible episodes of much greater unemployment, instability and stagnation than would have been the case otherwise. One of Marx’s main contributions to political economy is an evolutionary theory (“Darwinist”, according to Engels in his Speech on Karl Marx’s Tomb) of modes of production, understood in the modern sense of economic systems, as institutional setups that regulate the production and exchange of economic goods. For Marx labour acting over nature leads to the development of production forces (natural resources, accumulation of physical and human capital, the state of technical knowledge). This development leads to the emergence of contradictions between the productive potential of society and the prevailing production relations (e.g. rules about ownership, production organisation, etcetera). Production relations then are modified as a result, in such a way as to eliminate such contradictions, realising the “law of the necessary correspondence of production relations to the character of productive forces”(Lange, 1963, ch. 2). Further contradictions arise between the economic basis (or production relations) and the superstructure of society, understood as the social relations and social consciousness (religion, ideology, culture, etc. ; Lange gives the example of the support to capitalism implicit in the protestant ethic), which contribute to the legitimation of the existing mode of production. Conflicts and contradictions between the various elements of the system and their resolution guide its evolution, according to the “Law of the necessary correspondence of the superstructure with the economic basis”. Productive forces and production relations define a mode of production, though at any time a mode of production coexists with residuals of former modes and embrios of the superstructure of future societies (Lange, 1963). 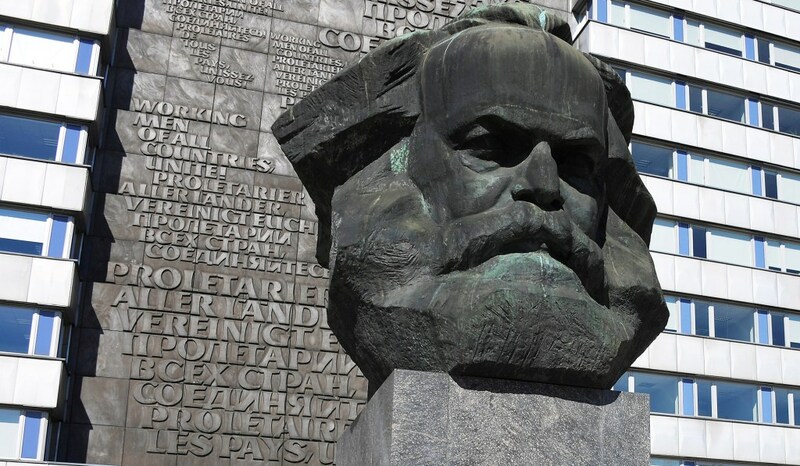 In his original approach to the evolution of economic systems, in any case, Marx made three major errors: he believed that: 1) there would be a final point of arrival for such an evolutionary course, i.e. full communism (with prevailing free goods, distribution according to needs, no state, and abundance of economic goods) without classes and therefore non-antagonistic, under which there would no longer be conflicts and contradictions; 2) there would be a linear progression of economic systems, from primitive societies to slavery to feudalism to capitalism (with a possible diversion represented by the Asiatic mode of production), followed by socialism and full communism; 3) that system evolution would be dominated by an extreme form of dialectical materialism, or economic determinism, with an exclusive role for economic factors. On the contrary we know today that full communism has always remained an objective never realised; that in the 1990s socialism was re-transformed back into capitalism, and moreover into an extreme form of hyper-liberal capitalism; and that economic factors are only a part, though important, of the multiple causes of system transformations. One prediction that Marx did get right was the progressive relative immiserisation of the proletariat: while in absolute terms economic progress has raised living standards immensely and reduced poverty beyond the most optimistic expectations, in relative terms especially in this century the share of income and wealth of the rich has been increasing at unprecedented rates to record levels. According to Oxfam (2016) in 2015 the 62 richest individuals had increased their wealth by 44% with respect to 2010, matching the same total wealth of the poorest 50% of the world population, which on the contrary impoverished itself by 41% in the same period (in 2010 it took the 388 richest individuals to match the wealth of the poorest 50%). Since 2008, the wealth of the richest 1% has been growing at an average of 6% a year – much faster than the 3% growth in the wealth of the remaining 99% of global population: should that trend continue, by 2030 the top 1% would hold two/thirds of world wealth, $305tn – up from $140tn today (The Guardian, 13/4/2018). 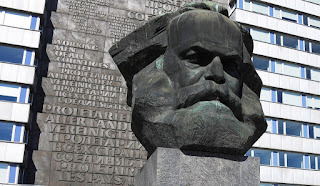 Reports of the death of both Marx and God have been grossly exaggerated.